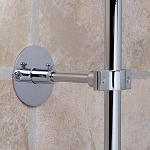 Shower Riser has 5/8-inch tubing in two pieces with connecter. 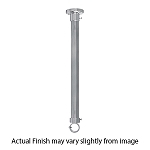 37-inch upper tubing, available with 27-inch bottom tube (for a total length of slightly over 5 feet) or 40-inch (for a total length of over 6'). 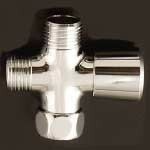 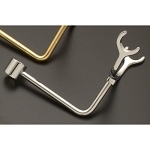 Available in Chrome, Lacquered Brass, Polished Nickel, Matte Nickel or Oil Rubbed Bronze finish.